Remember the TANNING MOM from earlier this year? We just found her a husband. 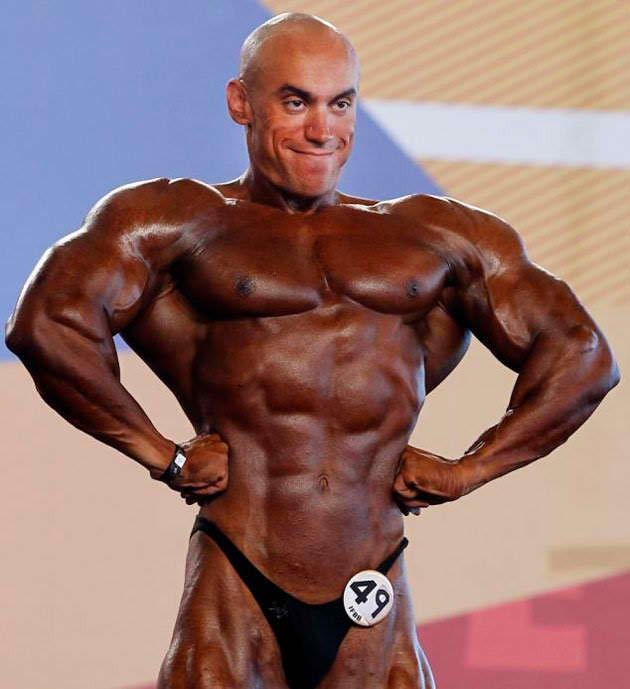 A photo has been going around online of a bodybuilder from a competition in Europe this weekend, and his tan is AMAZING. Amazing because his entire body is TANNER than anybody you’ve ever seen. From the neck down, you’d think he’s a black guy. But for whatever reason, he didn’t TAN HIS HEAD. So it’s totally WHITE and mismatched.